Applicants are hungry for real application and interview feedback. Some ‘audacious’ resources even suggest that candidates might be willing to pay for feedback—that’s how much they want it. Think about how many applicants send out hundreds of resumes—with no idea if they might be making one small mistake that’s costing them the job. A benevolent hiring manager or recruiter granting them a little guidance could turn around their whole career. Gerry Crispin’s research points out that 70% of the 100 American companies with the most admired HR practices do not provide unselected applicants with feedback. However, from the applicant perspective, any information provided might help them succeed in the future. Matt Perez’s article on TLNT titled “How a Culture of ‘Giving Back’ to Candidates Benefits Your Business” advocates for drawing candidate attention to weaknesses that your team has identified and even making suggestions for correction. Just saying “sorry, we’ll pass” is the worst thing you can do for a candidate. […] By giving her actionable feedback, you can help the candidate develop, give back to the community, and build a good reputation. 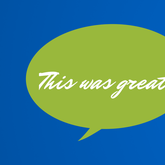 […] So the simple act of giving candidates good feedback will make your company stand out. By creating this kind of hiring culture, Perez suggests that candidates will respond favorably and remember the brand fondly. [W]e give every candidate very specific feedback. In addition, we suggest books, blogs, and other online resources to help them improve weak areas. For the most promising candidates, we even have a program we call “Office Hours” where we offer to mentor a candidate through their learning process. From the business point of view, it lowers our cost of recruiting. That’s because instead of throwing the “almost ready” candidate back in the deep water, we keep her close to us, near the shore, so to speak, where it will be a lot less costly to bring her back into the fold, after she’s shored up her knowledge and gained experience. Even if we never hire this person, she will walk away with a very positive image of our company. In many cases, they become our most ardent evangelists. What should I think about before giving feedback to candidates? There may be legal or policy reasons that you are hesitant to give feedback to applicants. (Please research local laws and company policy before enacting new practices.) You may want to avoid awkward conversations, or fighting with applicants over your decision. Or you may just not have the time. How can I help if I can’t give feedback directly? Even if there are policy reasons that prevent you from giving each unselected applicant a quick tip or two, consider other alternatives to provide value to your applicants. When my last team was hiring an intern, I was included in the interview process. I brought copies of each candidate’s resume into the room and we walked through the following exercise: I said, “This is how your resume printed on my end. If you had 30 minutes dedicated to the task, what improvements or additions would you make to your resume?” I framed the question as something that I was asking all applicants to see how they thought through a task and not something meant to suggest that their resume as it stood today was lacking. On the applicant side, everyone had something to say. Some focused on formatting concerns: making this text smaller or indenting that bullet further. Some focused on the message: targeting the resume more precisely to the job or rewording key phrases. Without giving any resume feedback myself, each candidate to whom I spoke left with a little bit of inspiration for their next resume submission. I want to give feedback! What should I say? Relate your feedback back to the job description and job posting for this specific position. Provide specific examples so that candidates can incorporate the feedback you provide. Restrict your feedback to responses and other activities that the candidate can change. This article suggests a quick addition to your existing applicant tracking process. You can still prompt rejection templates through your applicant tracking system, but add a personal detail or two to the rejection email. By taking this simple extra step, you may help the candidate in his or her career and prove that your organization cares enough to take the time to send personalized feedback. And, a good applicant tracking system will store the email that you sent, just in case you need to refer back to your feedback at any time.